This past weekend I gathered under the influence of Quandary Peak near Breckenridge, Colorado, for "Mystery and the Peripatetic", with other poets and creatives, mostly from the state. In the closing session Dr. David Rothman spoke of Belle Turnbull, a poet of enormous talent and promise who moved to Breckenridge early in her career, and thus, working away from the centers of the poetry establishment on the coasts, never got her just due, despite stellar reviews of her work. She is now nearly forgotten, even by Colorado poets, and based on the samples of her work offered by Rothman, her obscurity is a true literary crime. There would be more, more always, soft and prime. –from "At That Point Mr. Probus: Time as a Wellspring" by Belle Turnbull, for which she won the 1938 Harriet Monroe Memorial Prize from Poetry Magazine, alongside Dylan Thomas, no less. Born in Hamilton, New York on December 9, 1881, Turnbull's family moved to Colorado Springs when she was a child. Her father, George Butler Turnbull, became the principal of Colorado Springs High School. 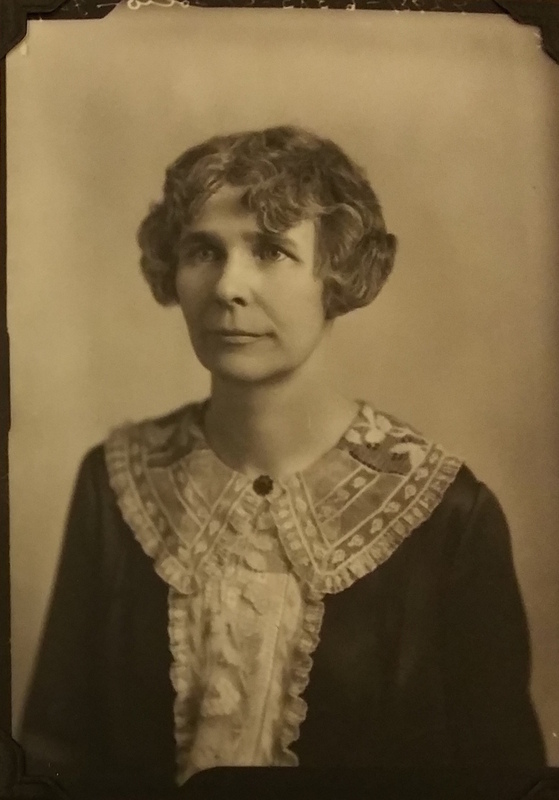 Belle graduated from Vassar in 1904; after a series of teaching jobs on the east coast, she returned to Colorado Springs in 1910 to teach English at Colorado Springs High School until 1936. In 1937 she retired from teaching and moved to Frisco with her friend, Helen Rich, a novelist. Two years later, they moved to a cabin on French Street in Breckenridge, where they remained for the rest of their lives, living in a color that didn't go unnoticed. Turnbull died in November 1970 in Denver (i.e. in my own very month of birth). 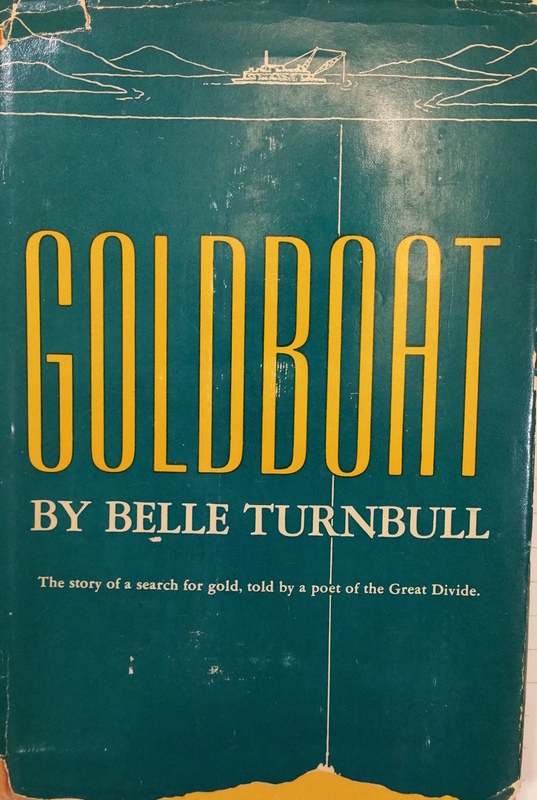 Turnbull's most significant popular success was the1940 verse novel Goldboat, published by Houghton-Mifflin and offering drama and intrigue from a mining setting. Her non-verse novel, The Far Side of the Hill, was published in 1953. I believe her most significant poetical triumph was Tenmile Range, 1957 a book-length collection of verse, which includes the above poem as well. Her final publication was a chapbook, Trails, in 1968. Her personal papers are archived at Denver Public Library. I spent some time with these papers, from which the excerpts and images in this post (formally: Belle Turnbull Papers, WH414, Western History Collection, The Denver Public Library). Tenmile's reputation shouldn't be hard to rehabilitate, though Goldboat will be trickier because it's very much of its time in its depiction of black characters. This doesn't really bother me (my attitudes towards the moral element in judging art are very complex) but some of the book's passages will sound very jarring to most post-civil-rights-era ears. Range to range stitching, weather to weather. Follow the gulches, follow the mountain pattern. Under a rocksnake of cold blue cobbles mounded. Red-rusted in the turquoise pit. The long, the diamond wind disturbs that water. –beginning of Goldboat by Belle Turnbull. "Rockinghorse country" is the fictionalized name used in the book for the Ten Mile range area, i.e. around Breckenridge.